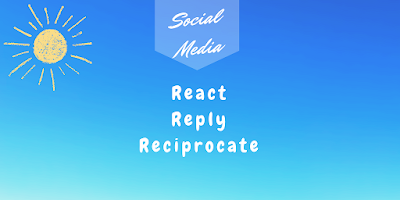 React Reply Reciprocate on Social Media! 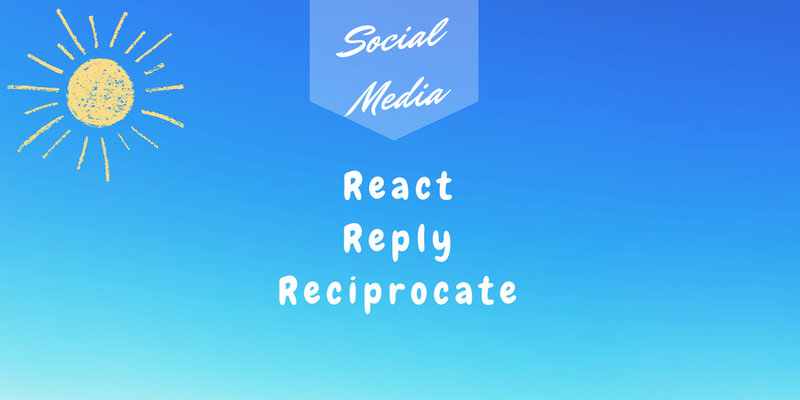 Sometimes knowing how to react, reply, and reciprocate when blogging, or on Twitter and Facebook can seem confusing. So here’s a post, which hopefully will be helpful, and I’ve included Instagram too, which seems to be growing in popularity amongst writers. Being on social media is about building relationships, which can take time. If someone does something for you and you don’t acknowledge it or do anything in return, it’s unlikely they’ll do it again. And to get anywhere on social media you need to be polite, and show the nicest side of yourself. Plus the more interaction there is with a tweet, Facebook post or Instagram post, the more likely it is that the post will be shown to more people. If you’re a guest on someone’s blog, post a comment to say thanks to the host; and reply to any comments left. See my post: 19 Tips on How to be the Ideal Blog Guest for more on this. If someone comments on your blog post, reply. 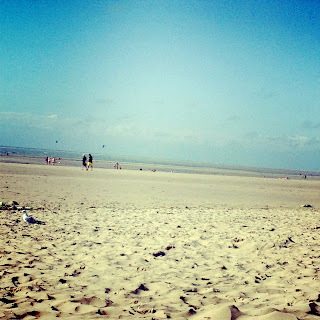 Leave comments on blogs in return where possible. If someone retweets your tweet, try to thank them (easiest to thank a few at the same time), unless the retweet is part of a popular hashtag, in which case, write a general thank you at the end of the day, including the hashtag so anyone following the hashtag can see it. If someone constructs a tweet specifically for your blog post, book release etc, reply to the tweet to say thanks, and retweet it. If someone replies to one of your tweets-especially if it’s something enthusiastic about your blog post or book, (and assuming the comment isn't negative or spam), like their tweet and reply. Sometimes just liking the tweet isn’t enough. Retweet in return where possible. 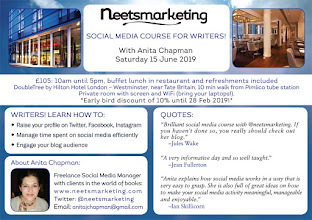 Create your own tweets or Quote Tweets for blog posts and book releases by others in your network, especially for those who are always supportive. Search for your name, your book titles, guest post links to find tweets where your username isn’t included. Then thank, reply etc as above. My guest post for Women Writers, Women's Books is still shared now and again months after I wrote it, and I pick up these tweets because I have a column for the link in Tweetdeck. If someone shares your post, go into the post, like and leave a comment to say thanks. If someone comments on your post, like the comment (assuming it isn't negative or spam), and reply. If you have lots of comments on a post, it’s still worth replying to each one individually if you have time. React to, and share posts in return where possible. If someone comments on your post, reply (where relevant, there's no real need to reply to a smiley face). If someone hosts you on their blog, you could offer to host them in return. 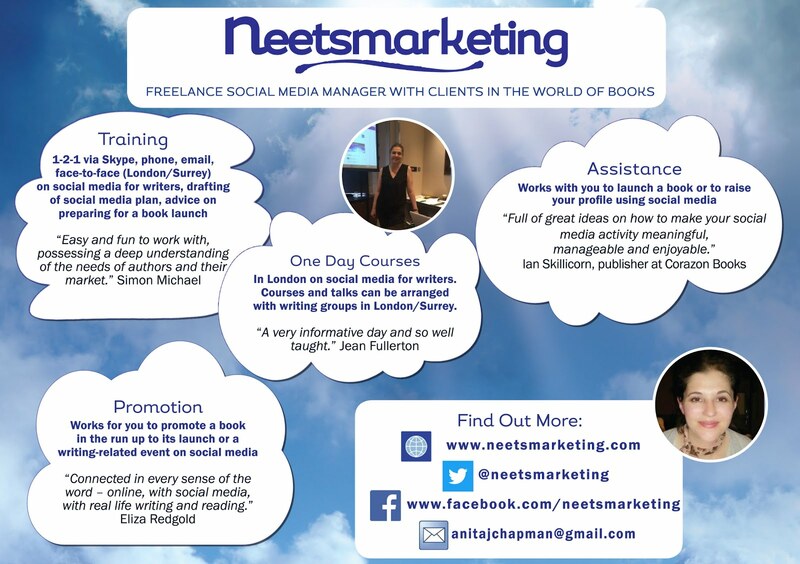 You can take part in promotion for another author's book launch. There are lots of possibilities. If someone is always retweeting your tweets, but they don’t have a book out or a blog, you can reciprocate by liking their Instagram or Facebook posts. If someone shares your post on Facebook, but they have no recent post to share, you can retweet one of their tweets or like one of their Instagram posts. Sometimes it’s difficult to reciprocate for everyone, but if you never reciprocate, it’s noticeable. 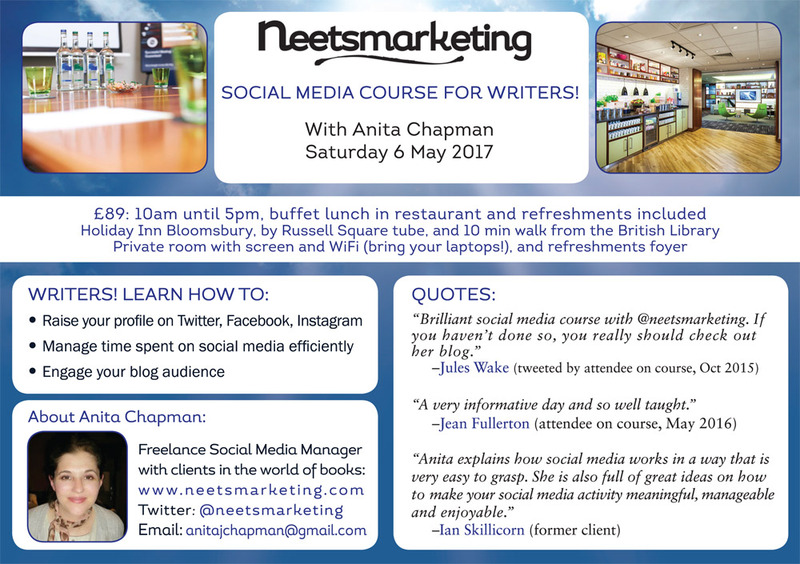 My next Social Media Course for Writers will be on 6 May 2017 at the Holiday Inn Bloomsbury in London. More details can be found on my website, and there's an early bird discount until the end of January 2017. Bookings are coming in already, and places are limited. To book, email me at anitajchapman at gmail dot com. This post was inspired by client and course attendee questions.